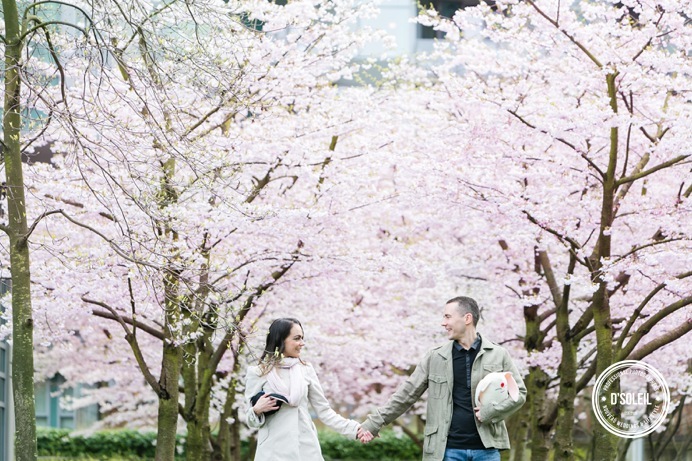 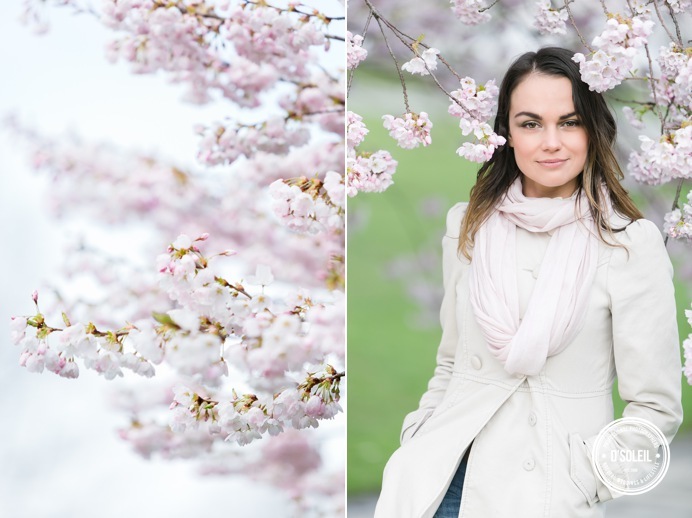 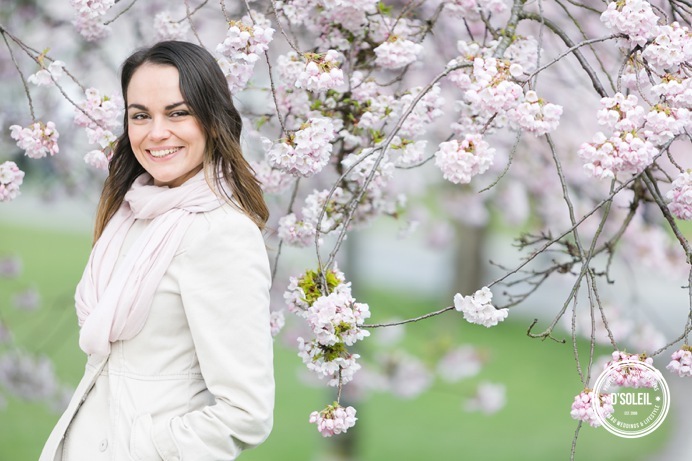 Elena + Aaron had a cherry blossom engagement session to remember. 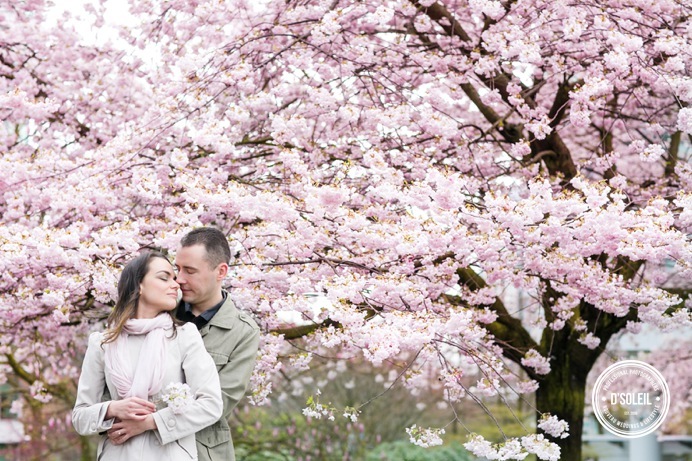 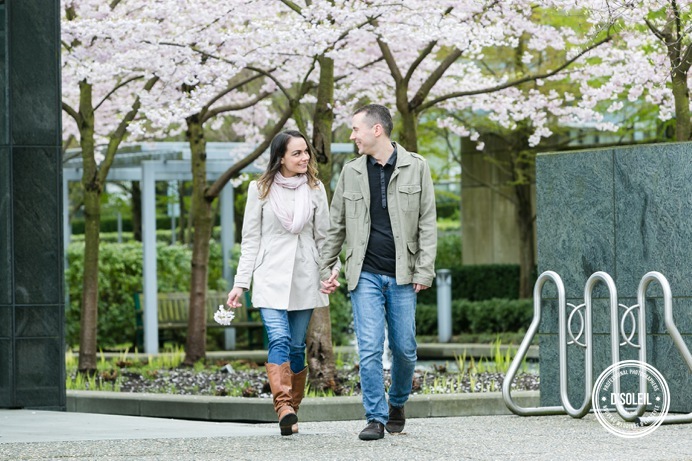 They found a beautiful location in downtown Vancouver with some of the most beautiful cherry blossoms around this Spring. 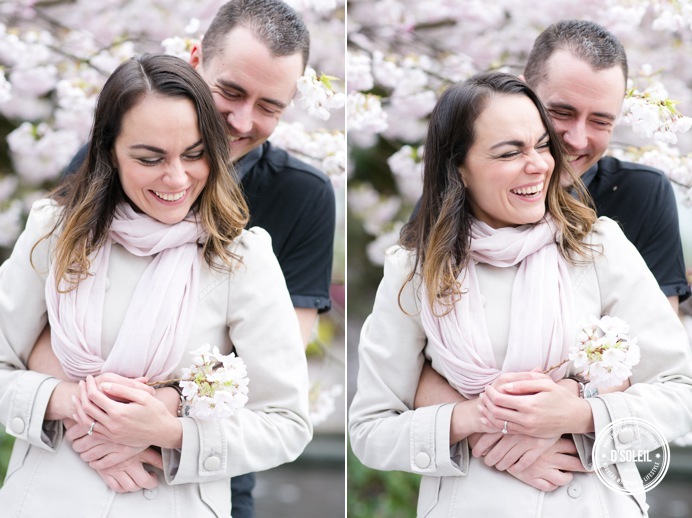 After shaking off some local tourists, we took these photos of them both in and around the west end. We chose a morning session to avoid crowds, and we found ourselves along empty streets with beautiful sakura blossoms all around us. 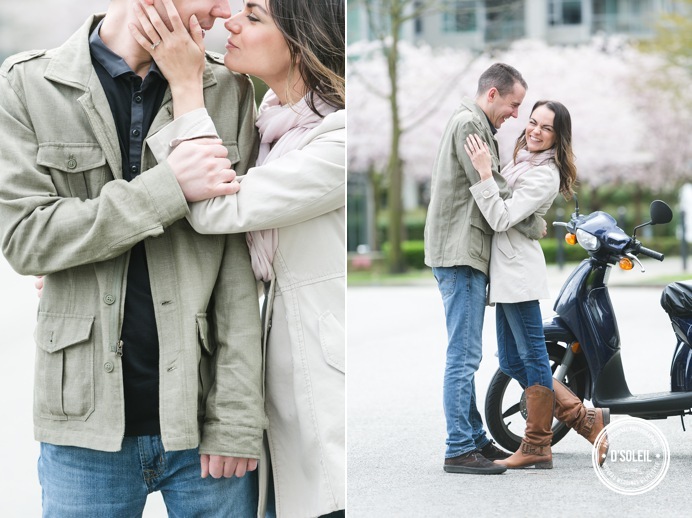 We wanted sun, but we got an overcast morning – though not ideal, it gave us perfect soft light for their photos.